Calendar year originally began following the death of Buddha in 543 BCE. Therefore this common year 2012 + 543 is Lao New Year 2555. New year is directly linked with Buddhism and the Lunar Calendar. It occurs on the 5th month of the Lunar Calendar, 6th day of the waxing moon. So while the actual days may change with the Lunar Calendar, there is a general adoption of celebrating Lao New Year in the 2nd week of April. These new year celebrations happen in many countries where there is a strong Buddhist following. 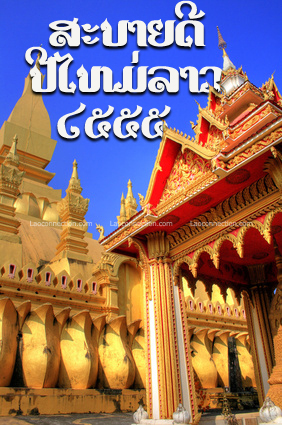 Major celebrations occur in Laos, Thailand, Burma, Cambodia, Canada, USA, Indonesia and so fourth. There are three official days of celebrations. The 3 days consist of the last day of the year, a corollary day (also New Year's Eve), and the actual first day of the new year. In Laos, the people get a full week of vacation during this time.